MUSICAL STAGES — Performing Arts Youth Academy presents "Les Misérables," Jan. 11 to 13, and 18 to 20, Fridays and Saturdays at 7 p.m., Sunday at 2 p.m., at the HART Theatre, 185 S.E. Washington St., in Hillsboro. Epic, grand and uplifting, "Les Misérables School Edition" packs an emotional wallop and features exceptional vocal talent. Organizers call it a "not to be missed production." Tickets cost $13 and up. Visit stagesyouth.org for more information. NO FILTER COMEDY — Bag&Baggage Productions/No Filter Improv hosts No Filter at The Vault, Jan. 18 at 7:30 p.m., The Vault Theater, 350 E. Main St., Hillsboro. No Filter is Andrew Beck, Jacquelle Davis, Kaia Maarja Hiller, Cassie Greer, Peter Schuyler, and Gary Strong. You've seen what some of these actors can do with a script; now come see what they do without one! Join No Filter for an evening of improvised hilarity, inspired by YOUR suggestions. Comedy. Havoc. Questionable Morals. What could possibly be better? Tickets cost $10 and up. Recommended for ages 18 and older. DOUBT — Mask & Mirror Community Theatre presents "Doubt, a Parable," Jan. 18 to 20, and 25 to 27, Friday and Saturday, 7:30 p.m., Sunday 2:30 p.m., Tualatin Heritage Center, 8700 S.W. Sweek Drive. A drama of suspicion and innuendo by John Patrick Shanley, this powerful drama stars Sister Aloysius, a Bronx parochial school principal, who takes matters into her own hands when she suspects the young Father Flynn of improper relations with one of the male students. It is a gripping story of suspicion cast on a priest's behavior that is less about scandal than about fascinatingly nuanced questions of moral certainty. ?$10. Visit maskandmirror.com for more information. CONCERT — S & A Irish Entertainment presents Nancy Curtin with Cal Scott, Eddie Parente and Dave Captein in concert, Jan. 12, 7:30 p.m., Winona Grange, 8340 S.W. Seneca St., Tualatin. Doors open at 6:45 p.m. Vocalist Nancy Curtin had a long career as a singer of Irish and Scottish music. She then decided to delve into the music of Brazil, a country known for its many styles and rhythms. In the words of one reviewer, "Nancys beautiful voice is not to be missed. Check her out live at your earliest opportunity." For this concert, Nancy is joined by three luminaries of the folk and jazz music scene: Guitarist/vocalist Cal Scott is well-known for his energetic and heartfelt performances; virtuoso Eddie Parente is at home on the fiddle (folk and Irish music) and violin (jazz); Dave Captein, one of the Northwests premier jazz bassists, is equally adept in other musical styles. Drawing on the varied background of all the musicians, the concert will include several Brazilian gems, American and Irish folk songs, and originals by Eddie and Cal! Tickets cost $18 and up. For more information, visit brownpapertickets.com/event/3738753. GUITAR SOUNDS — Portland Community College Rock Creek Department of Music Experience Music Series presents guitar virtuoso Doug Smith, Jan. 15, 7:30 p.m., PCC Rock Creek, 17705 N.W. Springville Road, Building 3, Room 114. Grammy-winning acoustic guitarist Doug Smith will play his unique arrangements of Americana from his most recent CD. Parking is $2 (permits available at machines). Donations welcome. For more information, visit pcc.edu/programs/music/rock-creek. OPERA — Portland Community College's Rock Creek Department of Music Experience Music Series presents singers Angela Niederloh and Matt Hayman, Jan. 22, 7:30 p.m., at PCC Rock Creek, 17705 N.W. Springville Road, Building 3, Room 114. Portland favorites Angela Niederloh, mezzo-soprano, and Matt Hayward, baritone, will present stunning classics from opera and solo and duet repertoire. Parking is $2 (permits available at machines). Donations welcome. For more information, visit pcc.edu/programs/music/rock-creek. 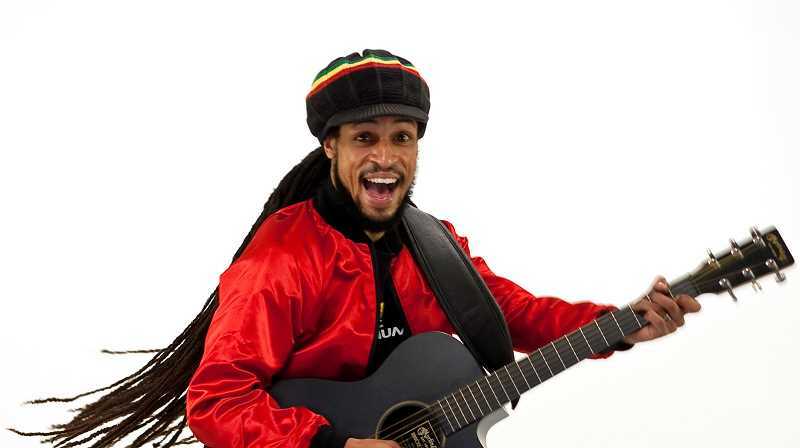 REGGAE — The Glenn & Viola Walters Cultural Arts Center on 527 E. Main St., Hillsboro presents a family-friendly matinee performance by award-winning educator and entertainer, Aaron Nigel Smith, on Saturday, Jan. 26 at 2 p.m. Tickets are $5 advance or $8 the day of the performance. Inspiring youth and families around the world through his uplifting reggae rhythms, Smith brings beauty, harmony, and a message of peace to every performance. Get ready for an entertaining and empowering afternoon of joyful music, recommended for ages two to eight. ORIGAMI CRAFT DAY — Beaverton City Library presents Community Crafting for Adults: Space-themed Origami with Yuki Martin, Jan. 14, 6 p.m., Beaverton City Library Main, 12375 S.W. Fifth St.. Did you know that the concept of origami has been used by astronauts in space to create solar arrays that generate power for the International Space Station? These origami-inspired solar arrays are compactly folded at the time of launch, and then expanded to cover a large area once in space. Origami artist Yuki Martin will demonstrate a variety of collapsible folding methods used in space and teach participants to fold using one of these methods. She will also teach fun space-inspired origami, like an alien and a star. Free. Visit beavertonlibrary.org or call 503-644-2197 for more information. Recommended for ages 18 and older. SPANISH WORKSHOP — L.E.S.T.A. Learn English/Spanish Through the Arts hosts a free Spanish workshop, Jan. 22, 1:30 p.m., Hillsboro Community Center, 750 S.E. Eighth Ave. Bilingual Songs, Skits, Card Games, Crafts to improve Spanish. Free. lesta.net, 503-617-6986. 18 and older. PRINTS — "P.A.N. Portfolio" is on view now through Jan. 25 at the Glenn & Viola Walters Cultural Arts Center at 527 E. Main St., Hillsboro. Free admission. The exhibition brings the work of 42 artist-members of PAN together into a single cohesive collection. The visual themes, color, form, line, and shape transcend similarities and differences across a variety of printmaking methods. The collection is reminiscent of the Pacific Northwest itself: dramatically diverse in geography and culture and yet an indivisible whole. TECH ASSISTANT — Need help with basic computer skills? Drop into the library for regular sessions with local tech assistants on Monday afternoons from 6 to 8 p.m., or call 503-259-0185 to reserve a longer appointment, up to one hour. STORYTIME — Family story time takes place Mondays and Wednesdays from 10:30 to 11 a.m. This is a weekly storytime for toddlers and young children, and includes stories, songs, rhymes and activities geared towards getting kids interested in reading at an early age. Cornelius Public Library, 1355 N. Barlow St.
PRESCHOOL STORYTIME — Storytime for ages 3 to 6 takes place every Wednesday at 10:15 a.m. Younger siblings are welcome. Come to the library for fun with books, stories, songs and rhymes. SPANISH STORYTIME — The library offers children's story times in Spanish on Saturdays from noon to 12:45 p.m. The public is invited to spend the hour listening to stories and singing songs with the whole family. The story time is sponsored by the Friends of the Cornelius Public Library. Forest Grove City Library, 2114 Pacific Ave. WRITERS IN THE GROVE — A free writing workshop is offered for young people and adults on the second Saturday of every month from 10 a.m. to noon. For writers with all levels of experience. For more information, call 503-992-3247. READ TO THE DOGS — Read to the Dogs is a program aimed at young readers who want to develop their reading skills and improve their confidence by reading aloud to trained therapy dogs and their handlers. The private 20-minute sessions take place at the Hillsboro Brookwood Library in the Storytime Room, Thursday afternoons from 4:30 to 5:45 p.m. Registration is required, call 503-615-6500. CHESS CLUB — Monthly chess club group for ages 9 to 12 meets on Friday afternoons at 4 p.m. with chess boards provided. INTERNATIONAL STORYTIME — Japanese language storytime is on every second Saturday of the month at 10:30 a.m. Marathi/Hindi storytime is on every third Saturday of the month at 10:30 a.m. Arabic language storytime is on every third Sunday of the month at 2:30 p.m. Mandarin story time is on the fourth Saturday of the month at 10:30 a.m. EVERYDAY ENGLISH — The library offers conversation groups for people of all language backgrounds who are learning English and want to practice and improve. The group meets Sundays at 3 p.m.
North Plains Public Library, 31334 N.W. Commercial St.
BOOKS BABIES STORYTIME — Each Wednesday, meet for stories, songs, rhymes and finger-plays with volunteer Lauren for babies up to 12 months. Come meet other families with little ones and introduce baby to early literacy activities. 10 a.m.
MAKING SUSHI —The latest presentation in the North Plains Public Library's Culinary Literacy Series is entitled Japanese Culinary Literacy, Making Sushi with Chef Maki. Not only will Sushi Chef Maki demonstrate how to make a sushi roll but will teach how to create beautiful artistic sushi, as well. Attendees will be treated to sampling of the sushi as well as a delicious Tofu Miso Soup made by library volunteer, Emi Graham. Please join us Saturday, Jan. 12 from 1 to 3 p.m. for this Culinary Literacy event! This library event will be at the North Plains Senior Center, 31450 NW Commercial St., North Plains. Admission is free but a reservation is required for this event. Please call the North Plains Public Library to reserve your spot at (503) 647-5051.